per DIN 6335 form HA, HB and HE, as well as tool shanks per DIN 1835 form B, C, D and E.
The special design of the reduction sleeves allows an efficient use of coolant through cutting tools. 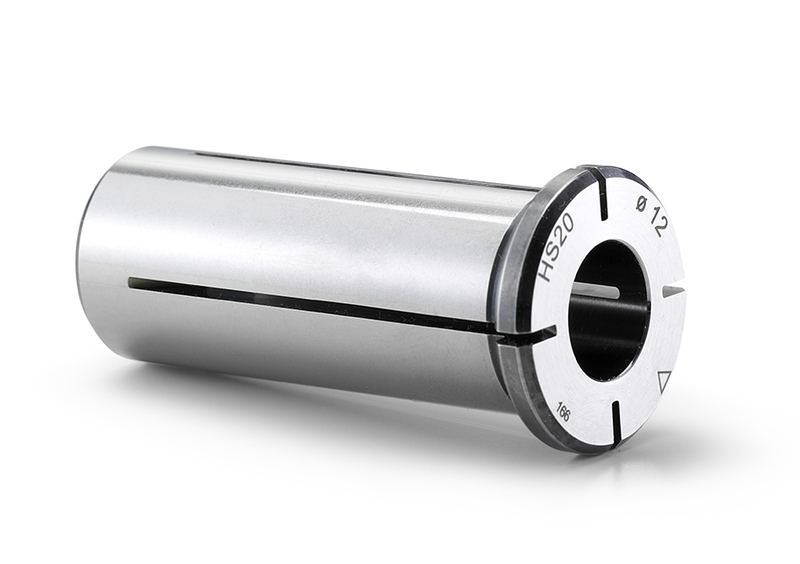 Metal-to-metal seal for cutting tools with internal coolant channels. cooling due to their coolant channels. High runout accuracy < 3 μm. Clamping of different tool shank diameters. 12, 20, 25, 32 mm and 1/2", 3/4", 1", 1 1/4". When using reduction sleeves the transmittable torque is increased.